Many of you will be aware of the two-day Certified ScrumMaster® course administered by the world’s premier Agile professional development body: Scrum Alliance. You may even hold this certification. The development path provides you with advanced and continuing education to address real work challenges and provide practical solutions so that you are more effective in your ScrumMaster role. The 'Certified ScrumMaster' two-day course and certification test is the first step in your development path to the 'Certified Scrum Professional – ScrumMaster'. It is the internationally recognised 'definitive certification' for ScrumMasters and other roles that need a solid grounding in the world's most popular Agile method: Scrum. Rowan's CSM course is a highly immersive learning experience delivering outstanding results and delighting New Zealand participants. The 'Advanced Certified ScrumMaster' two-day course and coursework is the next step in your development path to the 'Certified Scrum Professional – ScrumMaster'. The certification goes beyond CSM to focus on overcoming real-world Scrum challenges and providing important skills in areas such as coaching, facilitation and team dynamics. Holding the certification helps you work with practicing Scrum teams. To qualify you must hold a current 'active' CSM accreditation and have at least 12 months of ScrumMaster experience. Rowan's A-CSM course focuses on providing an expanded toolkit for ScrumMasters in a practice-based learning environment. See our Advanced Certified ScrumMaster questions and answers. The 'Certified Scrum Professional – ScrumMaster' involves a combination of class time, coursework and experience. Achieving the certification completes your development path to CSP for ScrumMasters. The focus is on applying your Scrum expertise to expand Scrum's impact beyond teams and add value to the broader organisation. To qualify you must hold a current 'active' A-CSM accreditation and have at least 24 months of ScrumMaster experience. Coming soon to Equinox IT. Rowan Bunning is a pioneer of Scrum in Australia and New Zealand and was Australia's first Certified Scrum Professional and Certified Scrum Trainer. He brings extensive experience in training, leading and coaching Scrum and Agile adoptions across Australia, NZ, UK and Ireland. 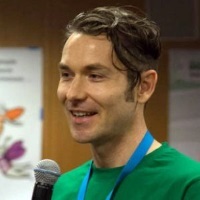 Rowan has trained over 5,000 people on Certified Scrum courses in Australia and New Zealand since 2008 making him one of the most experienced Scrum trainers in the Australasian region. Talk to Mike O’Neil about getting aboard the development path to Certified Scrum Professional - ScrumMaster.